Sharon Lorenzo at the Guggenheim Museum, New York. It is often the coincidences of life that produce the most amazing results. Frank Lloyd Wright traveled the world looking for inspirational idioms for his New York Museum. He saw minarets in the Middle East, pyramids in Egypt and round celestial observatories in the Yucatan Peninsula of Mexico. The use of reinforced concrete and steel allowed him to create a circular temple- like space which sadly was opened following his death in 1949. 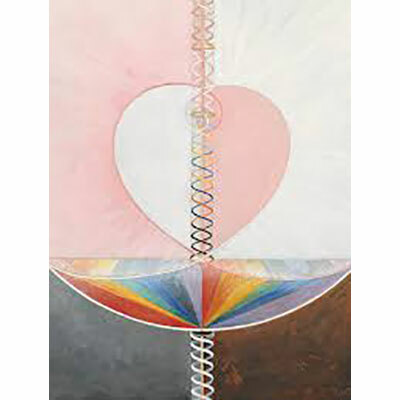 Today we see in that space a parallel vision by a Swedish artist, Hilma af Klint, (1862-1944), who asked that her art work be saved for 20 years after her death to find a suitable venues for its display. These two creative minds are now in tandem on Fifth Avenue. Trained in art classes at the Royal Academy of Sweden in her youth, she painted portraits, landscapes, and seascapes with her peers in her teen age years. However Hilma led a mystical life in her later years, studying the occult with a group of ladies, worshipping at quiet altars and practicing Buddhist-like purifications with vegetarian diets. 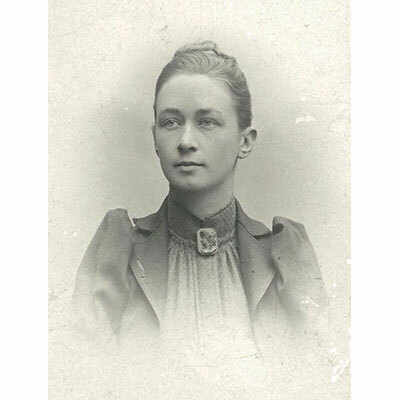 She was intrigued by intellectual discussions of the works of Rudolf Steiner, Carl Linnaeus and other early scientific minds who were pursuing the atom, the x-ray, and radioactive decay. Led by what she called “high masters”, she had a peripatetic life sleeping on the couches of her friends until she decided to dedicate herself to the creation of works for “a holy temple“. 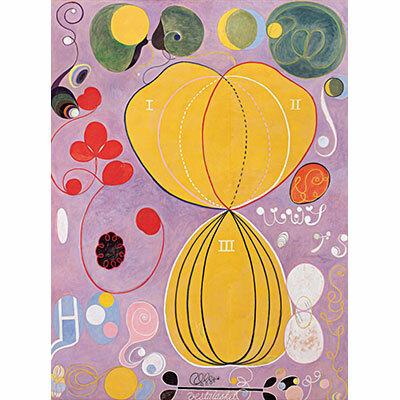 Her works were abstract before Kandinsky, Mondrian, Malevich or any of the other European modernists. This show represents these pictures painted between 1906 and 1920 when she was 44-58 years of age. Botanically geometric are the best words I have read to describe these paintings which are formal, free, balanced and lyrical. The Dove, 1915, Oil on canvas. What is so amazing is that if you did not know any of this, you would swear the works were made yesterday as they are fresh, colorful, fascinating compositions of line, form, shape, and color. Similar to Swedish folk art wall hangings called bonaders, they are enchanting taxonomies of her thoughts, visions, inspirations and ideas. One critic said she had a personal codex and cosmological imagination. 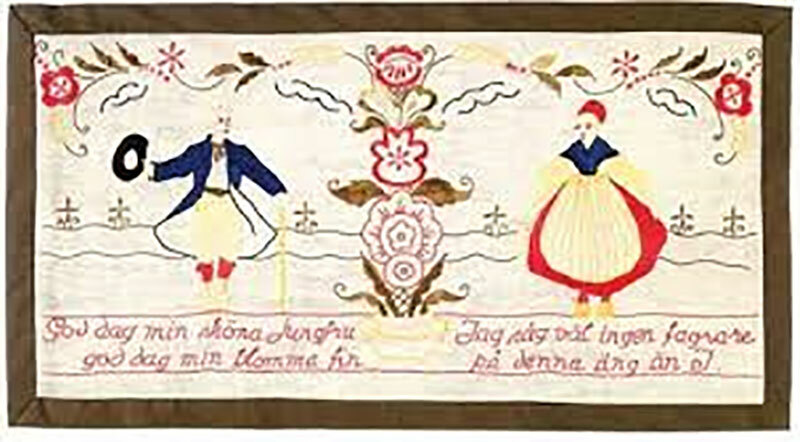 Swedish Bonader, Folk art on linen. Youth, 1907, Tempera on paper, mounted on canvas. 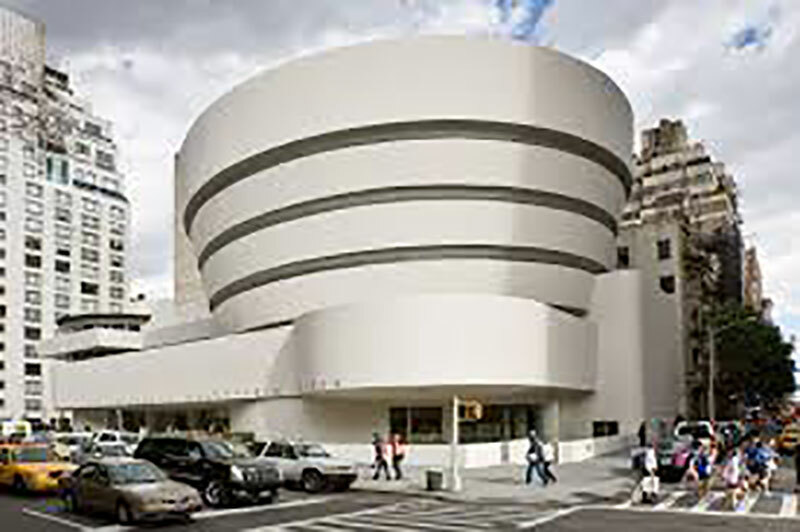 In our New York art world that is always looking for taxonomy and reason for the ins and outs of new creation, we see a visionary in the age of Frank Lloyd Wright who would have been thrilled to meet that master. 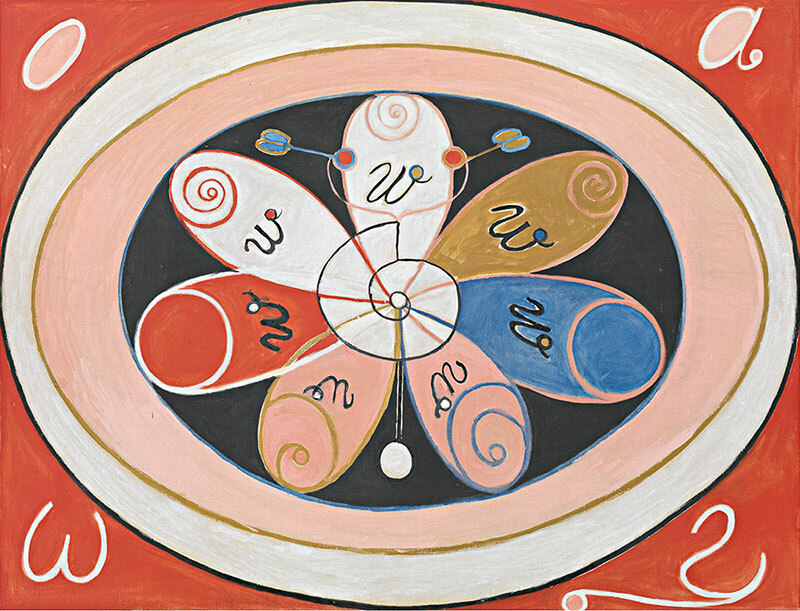 Focused so early on abstraction and the unfettered expression of her personal imagination, Hilma af Klint’s exhibition has been called by many one of the highlights of artistic expression in New York this season. Altarpiece, No. 1, 1915, Oil and Metal Leaf on Canvas. 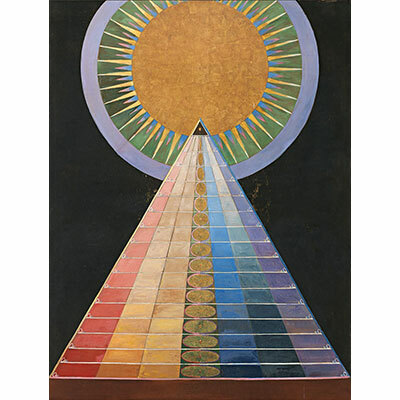 Tracey Bashkoff, Hilma af Klint, Paintings for the Future, Guggenheim Museum, 2018, p. 13. 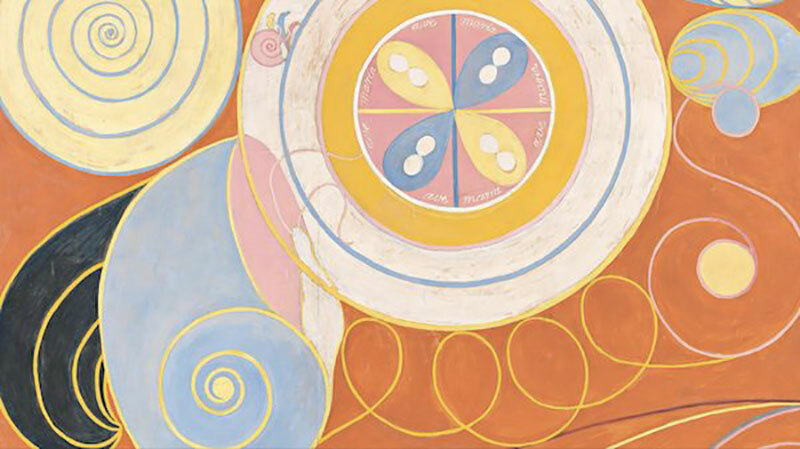 Vivien Greene, Hilma af Klint and the Swedish Folk Art Revival, p. 98. Thank you Sharon, what a fascinating artist !